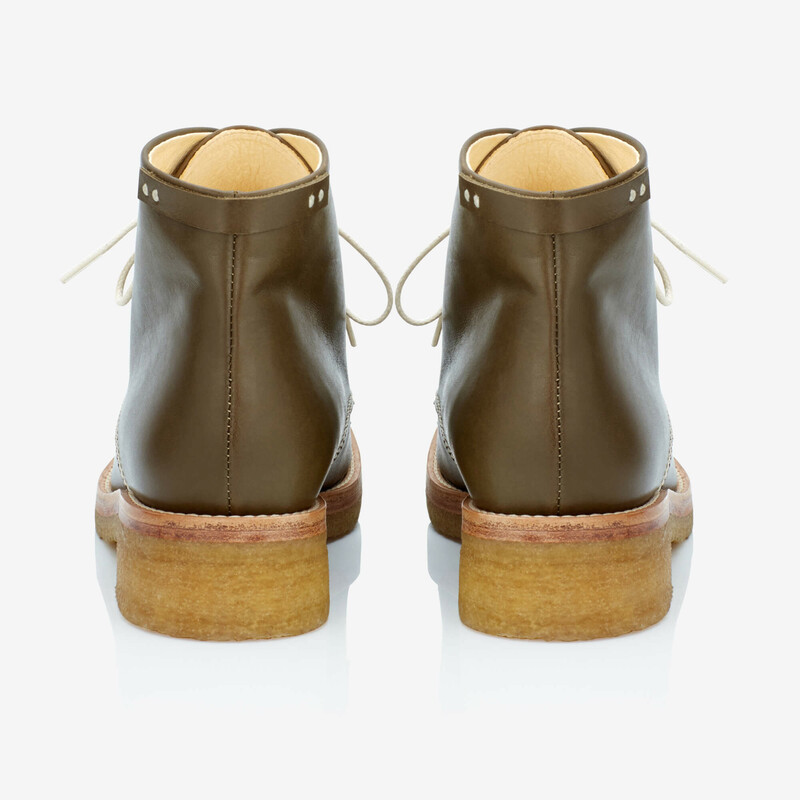 Flat but edgy Ola ankle boots by Finnish designer Terhi Pölkki has become classics for the brand. 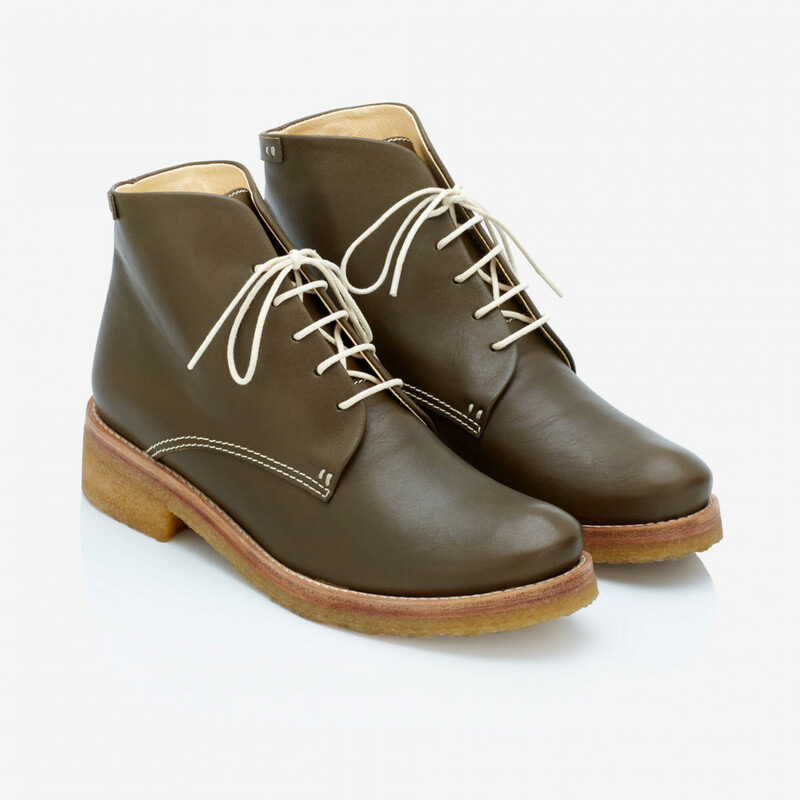 Lace up front, vegetan leather upper and crepe sole. 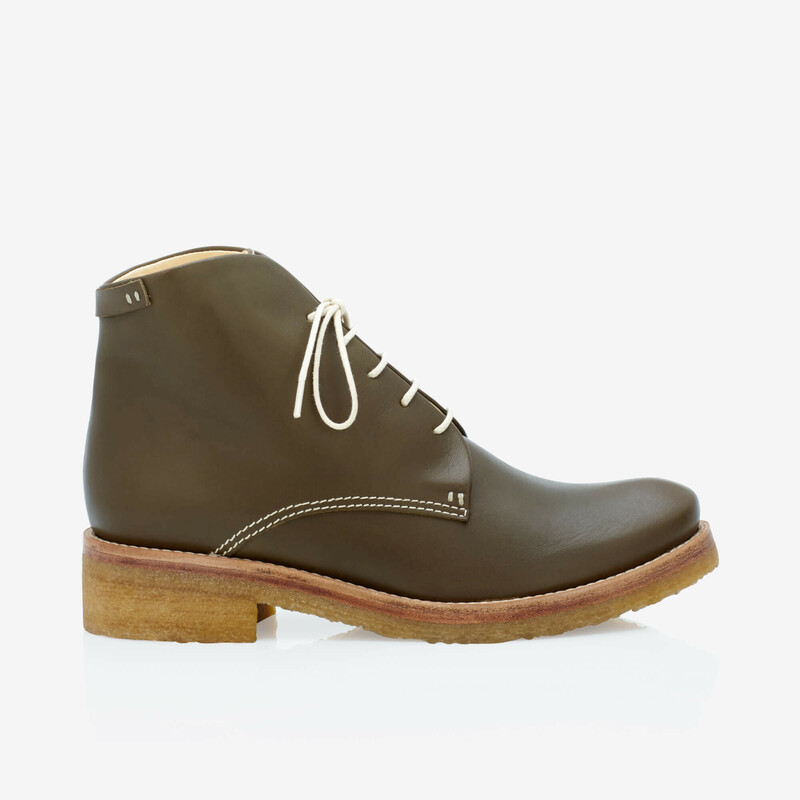 1 x Ola Olive Green was added to your shopping bag. 1 x Ola Olive Green was added to your wishlist.